Teddy bears Urpo and Turpo live on a bookshelf in the children’s room. The bears are avaricious readers, particularly of the classics. It is these tales combined with the sharp-eared and inquisite bears’ observations of everyday and domestic incidents and conversations that inspire, shape and drive their adventures. Turpo leaps before he thinks. He is the embodiment of spontaneous action and perpetual movement. Urpo is pensive and sensitive. He has a lively imagination. Urpo and Turpo is based on Hannele Huovi’s books “Urpo and Turpo”, “Urpo, Turpo ja Ihanaa”. The series consists of thirteen episodes. 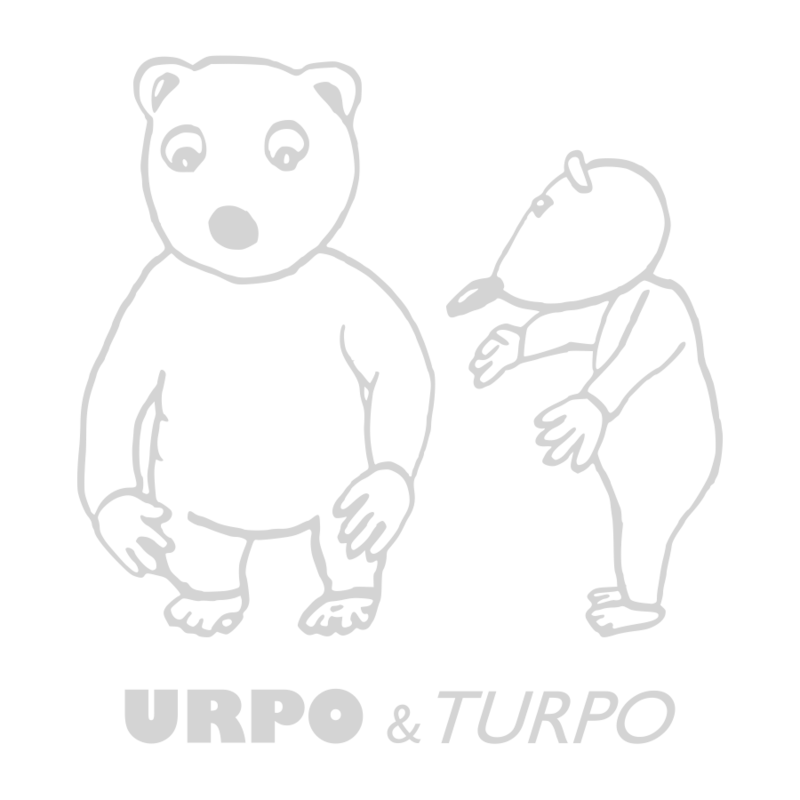 Urpo & Turpo has been remastered. See the Finnish page Urpo & Turpo johtolangan jäljillä for more information about the theatrical release in Finland. Sound: Paul Jyrälä, M.P.S.E. C.A.S.